Looking to add some interest in your apartment space? Why not go crazy with crazy lamps? Lamps are an easy decor choice to spruce up your place and make it artistic and fun. 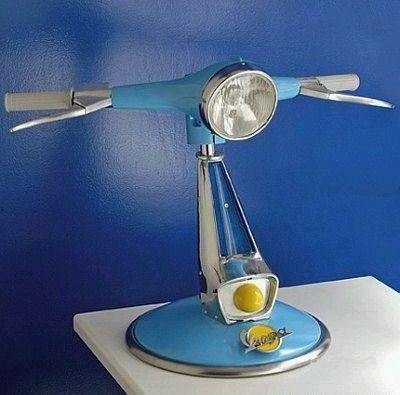 This bicycle handle bar lamp would be a great piece in a modern or vintage apartment. 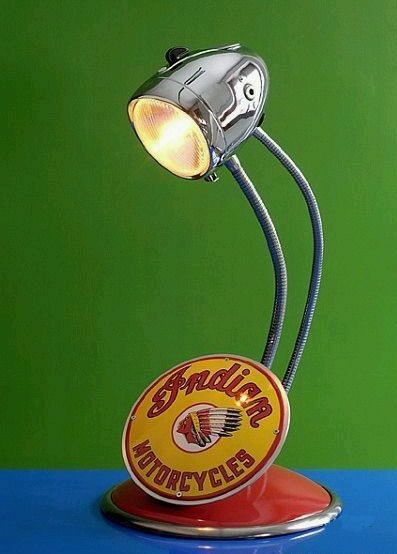 Strangeness has no bounds with this Indian motorcycle head lamp as a cool desk lamp. Fun. 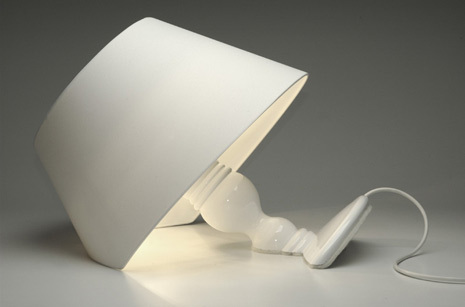 Add this unusual pipe table lamp to your side table and wait for the conversation to flow. No pun inteneded. A lamp that falls into the table instead of off the table. Unique and cute in any spot. Daedalus table lamp will add a soft light in a dark corner, and add a bit of eclectic taste to your decor. Might be cool in a bedroom. 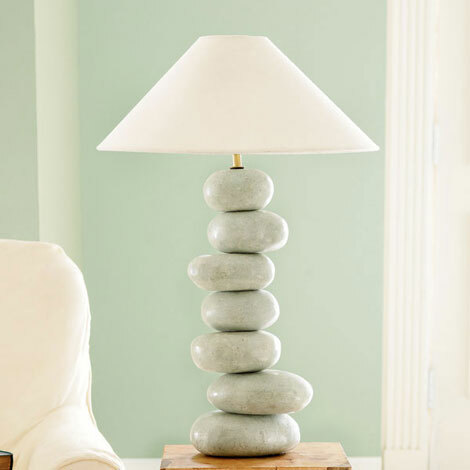 Crazy, yet elegant, a lamp made from polished stones for a modern or shabby chic designed room. Love the soft colors. Finally, I was so attracted to this twisted grapevine floor lamp. 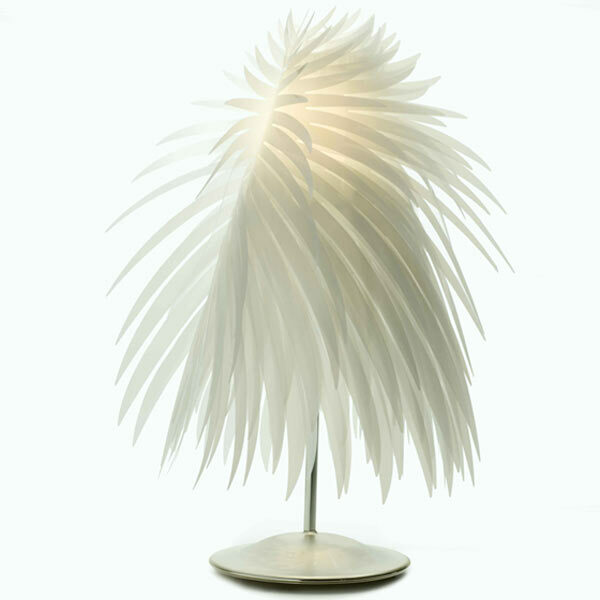 Sure to get attention, add useful light, and bring an element of nature into your room’s decor. Love it in this white on white space. This entry was posted in Furniture and Design and tagged apartments, crazy lamps, decor, decorating, design, Lamps, modern, style, unique decor, vintage. Bookmark the permalink. 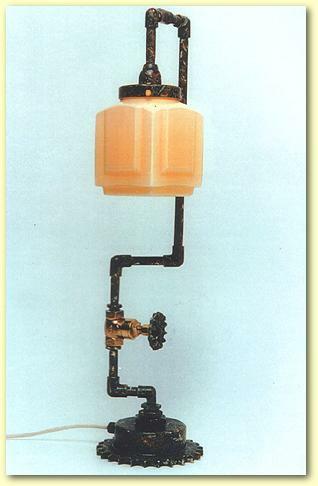 Great post, I love the polished stone and the pipe lamps.